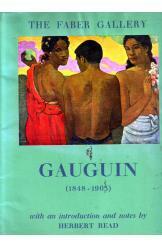 Gauguin 1848 to 1903 with an introduction and notes by Herbert Read. Book measures 25x31 centimeters. 12 removable prints.